First, give U.S. Sen. Dean Heller credit for opposing the manifestly bad Senate version of the Republican health-care bill. Yes, Heller has voted for Medicaid cuts in the past. Yes, he’s misspoken and had to correct himself. And yes, he’s struggling with the politics of health-care reform. But on Friday, in a joint news conference with Nevada’s most popular Republican, Gov. Brian Sandoval, Heller clearly announced his opposition. But more than simple opposition, Heller explained why, and what it might take to get him to support some version of repeal. 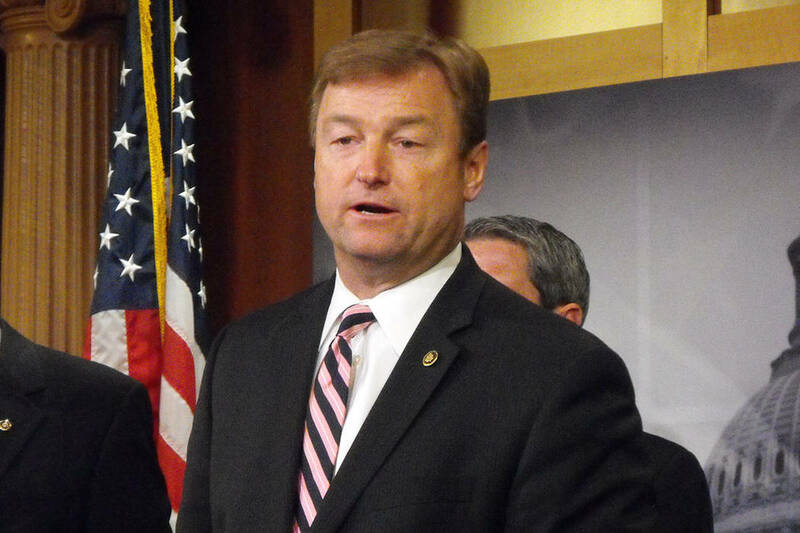 “I’m telling you right now, I cannot support a piece of legislation that takes insurance away from tens of millions of Americans and hundreds of thousands of Nevadans,” Heller said. And this bill would certainly do that. Before Heller spoke, Sandoval laid out the case: Before he became governor, 23 percent of Nevada residents were uninsured; that number is now down to between 11 percent and 12 percent. Around 18 percent of children didn’t have coverage; that number has fallen to 8 percent. Much of that change took place because Sandoval expanded Medicaid to cover more people, those making up to $16,000 per year. The federal government agreed to pay a higher reimbursement rate for that expanded population — there’s about 210,000 people in the group. But the health-care reform bill proposes to slowly eliminate that subsidy, forcing the state to choose between paying the costs or cutting off coverage. Sandoval said when the expanded Medicaid reimbursement is fully phased out, Nevada could face a budget gap of $480 million per year. There are other problems, too, according to Sandoval’s chief of staff, Mike Willden. The bill removes retroactive eligibility for Medicaid, which pays bills incurred shortly before applications are approved. It reduces a tax that funds nursing homes, shifting those costs to the state. And it lowers the income percentage at which a person is eligible to get health care subsidies on insurance exchanges. Heller’s objections are perfectly reasonable, and even commendable. But the politics for him are bad, no matter his vote. For example, no one on Friday was deafened by the cheers of praise and congratulations from the left for Heller’s announcement. He may have done right by them this time, but how many Democrats will abandon their nominee in favor of Heller? But the right will surely be displeased that Heller is not about the business of making America great again by usurping people’s health care. They likely will take their anger to the polls, either by voting for a third party, voting for “none of these candidates,” or not voting at all. Either way, Heller is in jeopardy. It’s true, he did say if funding for Medicaid in general was increased, if certain reimbursement rates were more closely reconciled with health care costs, and if expanded Medicaid patients were protected, he might lend his vote. But the fact remains, if the bill is edited to Heller’s liking, it will not pass muster with conservatives. Heller should get credit for doing the right thing. But, in the end, that may not save him from the politics.